I finally took the running boards off the GX 470. Next steps: 265/70R17 (32") tires (stock is 265/65 (31.5")) and 1" spacers. It will be a subtle but pretty sweet change I think. 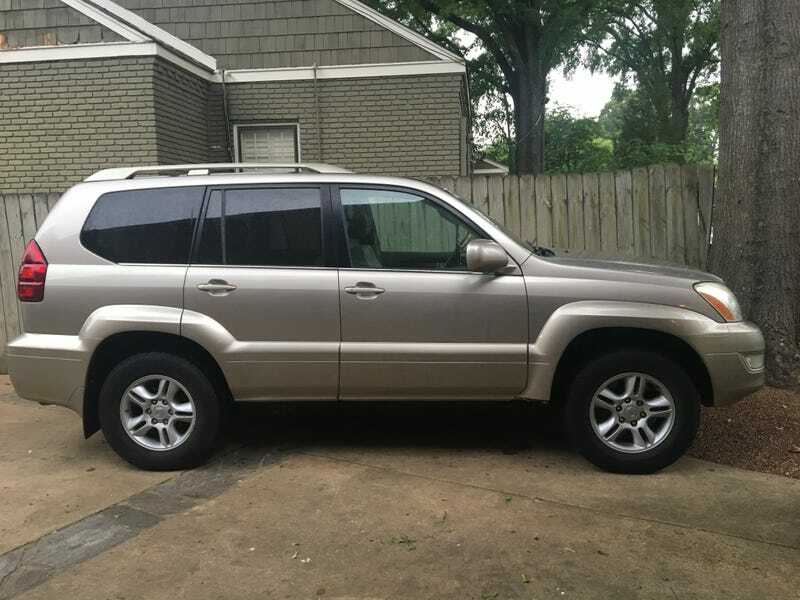 Makes it look more like a bona fide Land Cruiser. Eventually I’ll do a lift, and I plan on cutting the bumpers level with the side and custom fabbing a rear spare tire mount that can work with the stock rear bumper. Of course, most of this requires money, so it’s gonna be a hot minute.